Book Jeremy Bowen as a keynote speaker. Jeremy Bowen has been the BBC's Middle East correspondent since 2005. He is widely respected for his reporting and analysis of the region's political, economic and social dynamics. For more information on Geopolitics speaker Jeremy Bowen, contact VBQ Speakers founding agent Leo von Bülow-Quirk on leo@vbqspeakers.com or 0044 7833 727090. 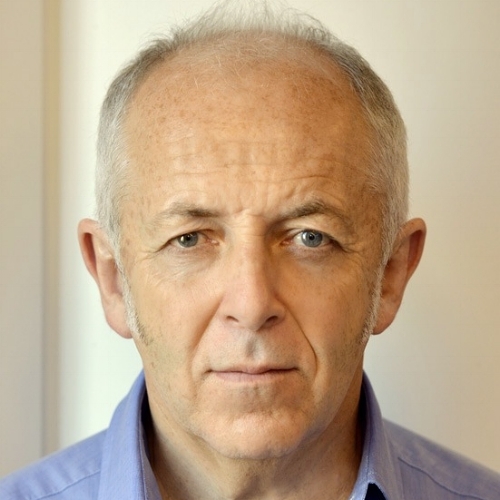 Jeremy Bowen has been the BBC's Middle East correspondent since 2005. He is widely respected for his reporting and analysis of the region's political, economic and social dynamics. He is constantly at the front line of events. He has been one of the few journalists reporting from inside Syria, and interviewed Bashar Al-Assad about the country's civil war in an exclusive 2015 BBC interview. He was the first British journalist to interview Muammar Gaddafi after the start of the Libyan civil war in 2011. The interview was also the last before Gaddafi was killed. Jeremy has also won praise for his coverage of the "Arab Spring" and Israel-Lebanon war, for which the BBC won an international Emmy in 2006. Prior to this, he was Middle East correspondent from 1995 to 2000. In 2000, his driver was killed while they were on assignment. Jeremy and his cameraman escaped unharmed, but he suffered the symptoms of post traumatic stress disorder and as a result came off the front line to present BBC Breakfast from 2000 to 2002, alongside Sophie Raworth. Over his career, Jeremy has reported from over 20 wars and 80 countries, including the Gulf, El Salvador, Lebanon, Israel, Afghanistan, Croatia, Bosnia, Chechnya, Somalia, Rwanda, Iraq and Algeria. He is no stranger to danger, having been held up at gunpoint by bandits when covering the Kosovo conflict in 1999, and being shot at on Mount Lebanon in 2008. Jeremy also testified as a witness in four separate cases at the former Yugoslavia war crimes tribunals, including at the trials of Karadzic and Mladic. He has won several awards (see a full list below), including Best News Correspondent at the New York Television Festival in 1995. He repeated this success the following year when he won RTS Best Breaking News Report for his coverage of President Rabin’s assassination. In 2004, he won a Sony Gold award for News Story of the Year on the arrest of Saddam Hussein. Jeremy has also been shortlisted for a number of war reporting awards including the Bayeux award, and he was part of the BBC teams that won a Bafta for their Kosovo coverage. He has also appeared as a guest host on the BBC's leading news satire show, Have I Got News For You. The dynamics of Middle Eastern politics have enormous repercussions for the wider world; to understand global political risk, organisations need to understand the region. Jeremy is one of the world's most seasoned experts on the subject. His unique perspective - bringing together first hand insights on the high politics and events "on the ground" - allows him to create an intricate and nuanced picture of what is happening. A seasoned story-teller, his analysis is as compelling as it is expert. Emmy and Peabody for the Syria war. RTS TV journalist of the year, RTS interview of the year, RTS specialist journalist of the year, and a breaking news award from the 1990s. Three war reporting awards from Bayeux. Gold medal from New York TV festival.